Exercise is a green approach to health care. Yes, a green pregnancy means making the most of what you take into your body, through what you eat, drink, and breathe, and also absorb through your skin, hair, and nails. But how you move your body is another powerful green way to make a difference. There are many benefits of exercise during pregnancy, including improved physical conditioning, strength, flexibility, and stamina. It builds endurance for labor and delivery and a quicker postnatal recovery. By exercising regularly, you may be able to reduce some of the common discomforts of pregnancy such as backache, swelling, and constipation. Most of all, you feel great about yourself when you exercise. Let’s take a look at the effects of exercise versus medications for two of the most important complications of pregnancy. As many as one in eight women will develop gestational diabetes sometime during their pregnancies, increasing health risks for themselves and their babies. Researchers at the University of Southern California School of Medicine studied a group of women who had already developed gestational diabetes and who had fasting blood glucose levels high enough to require insulin. Half of the women in the study received the recommended insulin. The other half got personal trainers instead. The trainers supervised the women while they did simple twenty-minute stints on exercise bikes. The results were startling: moderate aerobic exercise was equally effective to insulin! Blood glucose levels were statistically the same in both groups. If exercise can be a prescription-strength way to control gestational diabetes that has already developed, how much better to be active throughout pregnancy and perhaps prevent the problem in the first place. Insulin costs in the United States are staggering. The state Medicaid programs alone pay $500 million a year just for the drug. The indirect costs of diabetes are huge. Exercise is a green approach to health care. A complication of a pregnancy in which blood pressure increases and blood flow to the baby decreases. The only effective treatment for preeclampsia is to deliver the baby, so it contributes to the growing epidemic (and resource cost) of preterm deliveries. Again, regular brisk walking or other moderate physical activity begun during pregnancy significantly lowers the risk of preeclampsia. The benefit is even greater if the exercise is begun before pregnancy. As thankful as I am for neonatal intensive care units, they also represent one of the most intense uses of resources in health care. A walk in the park is a much greener way to deal with preeclampsia, when possible. Yoga is one of the oldest physical practices in existence. Yoga balances mind and body, work and relaxation. Through movement, posture, relaxation, meditation, and intentional breathing, yoga aims to bring a healthy, lively, flexible approach to life. With its emphasis on harmony and balance, it is a beautiful metaphor for raising baby green. Two recent studies compared an hour of prenatal yoga daily to an hour of brisk walking daily. One of the studies looked just at women with uncomplicated pregnancies. In this study, those who were randomly assigned to the yoga group were significantly more likely to have an ideal weight baby, significantly less likely to have preterm labor, and significantly less likely to develop hypertension than the women who exercised an hour a day by walking. The other similar study looked at women with complicated pregnancies, who had already been diagnosed with abnormal blood flow through the umbilical and uterine arteries. These women were at increased risk of delivering babies that were too small. Again, those randomly assigned to the yoga group were significantly more likely to have a normal weight baby than those who walked for the same amount of time. If you are interested in a home guide to yoga before and after having a baby, I like Anna Getty’s Guide to Prenatal and Postnatal Yoga, a DVD boxed set that is great for both beginners and for seasoned practitioners. As with any exercise, you can overdo it with yoga. Be careful not to strain yourself, and have your instructor check to be sure you’re doing it the best way for you. I agree with the American College of Obstetrics and Gynecology in recommending 30 minutes of moderate physical activity every day, or at least on most days. We all know that this is a good idea, but having a baby is a fantastic time to make this resolution stick. Talk with your pregnancy health care team before embarking on your activity plan. Some exercise is wonderful. Too much, or the wrong kind, is not. And some pregnant women should not exercise or should exercise in an even gentler way. But for most women, exercise during pregnancy is a wonderful benefit, giving you stronger muscles, denser bones, healthier joints, and less chance of urinary incontinence. And exercise also wards off the baby blues or postpartum depression. Dr. Alan Greene, author of Raising Baby Green, is a graduate of Princeton University and the University of California San Francisco. In addition to being the founder of www.DrGreene.com, he is the Chief Medical Officer of A.D.A.M., and the Pediatric Expert for WebMD. He is the Chair Elect of The Organic Center and on the Advisory Board of Healthy Child Healthy World. Dr. Greene appears frequently on TV, radio, websites, and in print including appearances on The Today Show, Fox and Friends, The Wall Street Journal, Parents Magazine, and US Weekly. 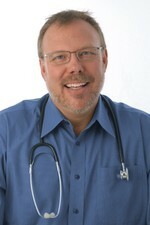 Dr. Greene is a practicing pediatrician at Stanford University’s Packard Children’s Hospital. AS ALWAYS, HEALTH IN 30™ IS FOR INFORMATIONAL PURPOSES ONLY; IT IS NOT TO DIAGNOSE OR TREAT…ALWAYS SEEK HELP FROM YOUR HEALTH CARE PROVIDER.